We’d love your help. Let us know what’s wrong with this preview of Two Mothers by K. Kris Loomis. It’s not long before Anna realizes there is something eerie a A mother’s depression. A ghost’s obsession. A baby caught in the crosshairs. K. Kris Loomis is also the author of the novel, The Sinking of Bethany Ann Crane as well as the short story collection, The Monster in the Closet and Other Stories. She has also written a humorous travel memoir, Thirty Days In Quito: Two Gringos and a Three-Legged Cat Move to Ecuador, as well as the nonfiction books How to Sneak More Yoga Into Your Life: A Doable Yoga Plan for Busy People, How to Sneak More Meditation Into Your Life: A Doable Meditation Plan for Busy People, After Namaste: Off-the-Mat Musings of a Modern Yogini! To ask other readers questions about Two Mothers, please sign up. I liked the Postpartum representation, but otherwise I found this novella underwhelming and forgettable. A woman imprisoned by her abusive brother, her baby given to his wife, her role diminished to that of a wet nurse. Another mother, formerly alcoholic and prone to self-destructive depression, is left alone with her baby in a house others are afraid to enter. Two babies and two mothers decades apart, but with a connection. “Two Mothers” is a physical and psychological drama centering on the mothers’ fears for their babies and themselves. Kris Loomis deftly conveys the fear of each mother in alternating chapters of this novella. The author’s ability to play with the reader’s expectations reminded me of the tension in a well-directed movie: When you think something is going to happen, it doesn’t; but when you relax and don’t expect anything to happen, it does. Like a magician, Ms. Loomis did a good job at misdirecting me. At one point I found myself saying, “Hey, wait a minute,” and thumbing back to earlier pages only to get a realization that somebody … well, I won’t say anymore. You’ll need to find out for yourself. I like how the author is able to ma I chose to read this book after receiving a free e-copy from the author. All opinions in this review are my own and completely unbiased. Normally it takes me a while to get through a book, but as soon as I started reading this, I couldn't stop! I really felt drawn to the protagonist, Anna, and her internal and external conflicts. This has all the elements of a classic ghost story -- a house in the middle of nowhere, isolation, unexplained phenomena -- but it also tackles compelling issues like alcoholism and not feeling equipped for motherhood that humanizes the protagonist and that many readers will be able to relate to. Anna quickly realizes that no one will go inside the house she and her husband just bought and when questioned, no one responds. What are those strange noises at night, why is the house so cold and how come baby Preston stops crying when laid in the antique crib? Can Anna make it the fives day until her husband arrives? Loomis does a good job of keeping the reader alert and anxious. This is a terrific one sitting read! Two Mothers by K. Kris Loomis is a wonderful story that I read writen by a brand new author for me. I fell in love with this story cause it has a mystery about it and I love reading about mysteries that have ghost involved to. I highly recommend this story to everyone who loves mysteries that have ghost in the story. There are so many things I love about this story, and I never thought I'd say that about a ghost story! The story is told from the perspectives of both mothers, each with their own challenges. I enjoyed seeing how they dealt with those challenges to conquer their demons, both real and imagined. Kris did a fantastic job of weaving the past and the present to create an intriguing story. A young mother has to come to terms with the sins and misfortunes of the previous occupants of her new house. This is dark, but with a twist that makes the read worthwhile. I really enjoyed this quaint novella! No filler at all. The story was a bit chilling but not too much. Perfect story telling and suspense. Ending was perfect too and was a great way to finish the story. Like a big giant bow on top. Highly recommended! 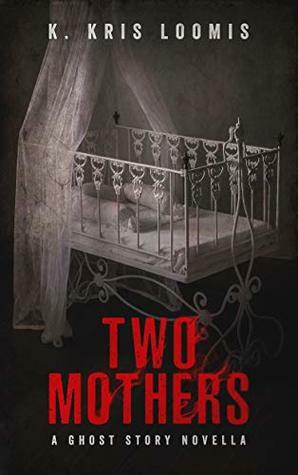 Two Mothers is a novella about a young newly mother from the past and a modern day newly mother and how the story connects both. It's an okay short story to read quickly. This was a great short story. Although it was because of a tragedy, Anna finally understood motherhood. Mary helped her from beyond the grave and now she could rest. I really enjoyed this book. The author did a great job on the story. I was hooked from beginning to end. I highly recommend this book and I definitely will read more from K. Kris Loomis!! Kris takes you on a journey of two mothers from different times, with one goal, to protect their baby. Kept my attention the whole time. Check it out! A quick read. A good read. Not long but a very good story. Heartbreaking story about two mothers who both loved their sons. Very nice story. A short but spooky tale in the southern gothic tradition. A tale of ghost and a haunted past. Well worth the short time it takes to read it. This is a very good read. The blending of different times was put together very nicely. It's a quick read but really worth it. I enjoyed it a lot. K. Kris Loomis is an eclectic author who writes both fiction and nonfiction books. She is the author of the novel, The Sinking of Bethany Ann Crane, as well as the short story collection, The Monster in the Closet and Other Stories. Kris has also written several books about yoga and meditation and a humorous travelogue about the time she, her husband and their handicapped cat moved to South Americ K. Kris Loomis is an eclectic author who writes both fiction and nonfiction books. She is the author of the novel, The Sinking of Bethany Ann Crane, as well as the short story collection, The Monster in the Closet and Other Stories. Kris has also written several books about yoga and meditation and a humorous travelogue about the time she, her husband and their handicapped cat moved to South America called Thirty Days In Quito: Two Gringos and a Three-Legged Cat Move to Ecuador! Fiction has been an integral part of Kris’ life since childhood, when she would borrow twelve books at a time from the library, spread them out on her bedroom floor, and move one to the other, reading a page at a time, until she finished them all. She believes that fiction should not only entertain but should also challenge the reader.